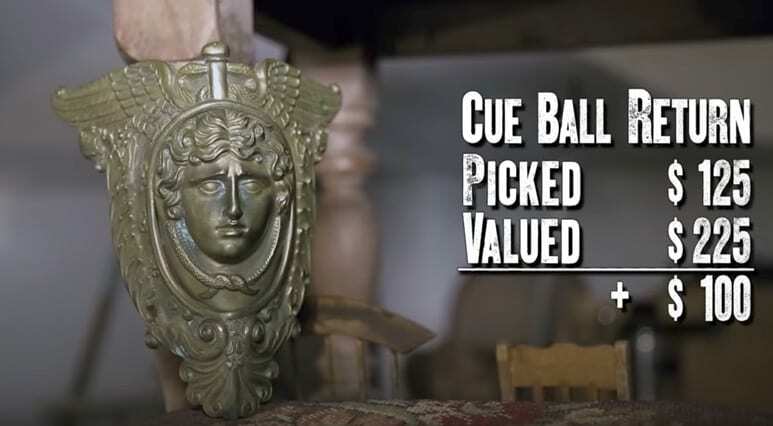 The American — and global — fascination with antique trading, the one that made TV shows like The Antique Roadshow and Cash In the Attic overnight hits — plays on more than one core quality of ours. Our love of mysteries — what will this be worth? Our innate desire to suddenly befall a true treasure. Perhaps our desire that something that is ours could be worth its value not only in emotion but also in riches. 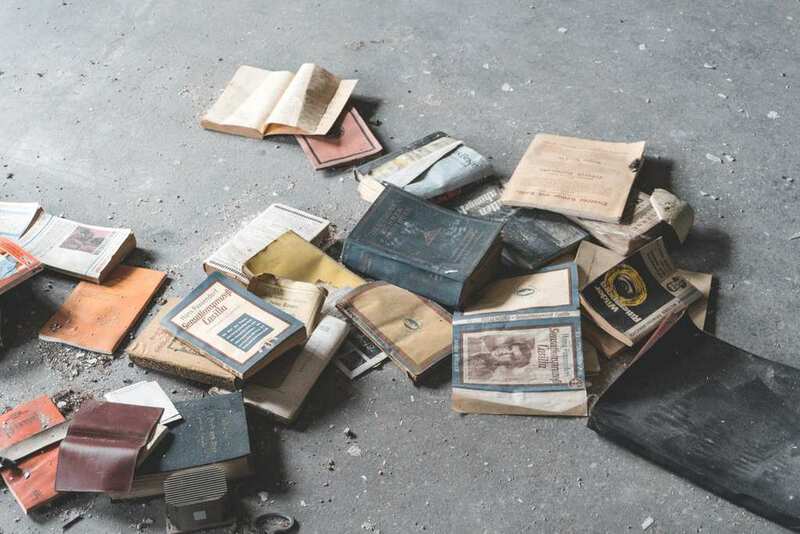 Basements around the nation are hoarded and filled with papers, troves, jewelry and photos; barns across the midwest stand adorned with non-working machines that have no date, seemingly no story. These have become a mainstay of our lives. When we were small we dreamt of finding treasures in the attic. Americans and citizens around the world have been taking pleasure in peeking into people’s stories, and seeing their worth, becoming inspired: perhaps in their basement or attic, in the drawer at the parents’ home that they have never opened, in the storage unit they’ve kept since moving to the city as 20-something-year-olds, perhaps there, there is also a treasure that could be discovered, restored, and valued. 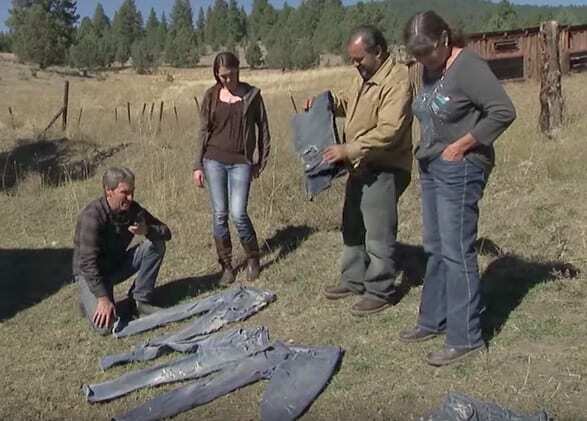 Mike Wolfe and Frank Fritz, the owners of Antique Archaeology and the stars of American Pickers were picking around North Carolina when something huge caught their eye. They happened upon two 1954 Nash Healey Sports Cars, one red and the other grey. Only 500 of these sports cars ever made, and the guys were looking at buying two of them. 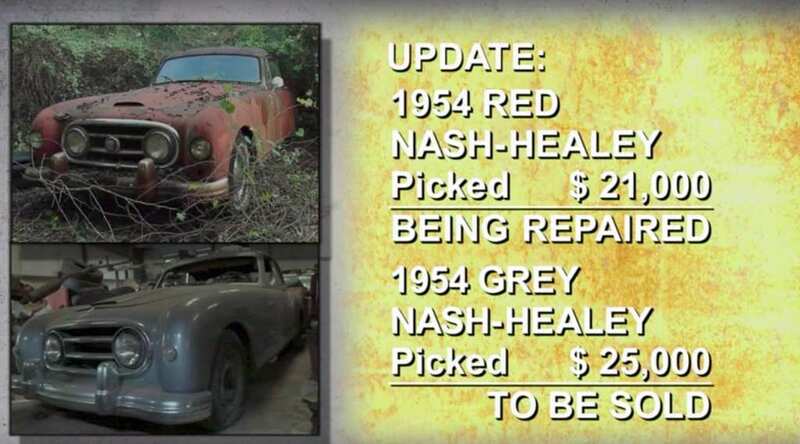 In one of their biggest ever buys, the guys bought the two cars for $46,000. The purchase was a gamble, as now they have to fix the cars up. If you thought that those two cars were a lot of money then you’re in for a doozy. Mike and Frank happened upon another car collector who also had a penchant for motorcycles of all makes and models. This included three super rare Ace motorcycles. Despite the fact that one of them did not have a working engine, they still had the original paint and were in decent condition given that they were nearly 100 years old. The guys paid $85,000 for the trio. In the early 1900’s when cars were a brand new item, the government needed a way to track who had which car. So, the government required that each car have a number displayed on it. It could be painted on, hung on a wooden plaque, or engraved into leather (the government wouldn’t issue metal license plates until later). So, when the guys found the only leather license plate issued to Oldsmobile ever, they knew they needed to buy it. Mike ended up buying the plate for $1,000. Sometimes the guys find things and you think to yourself “how can that be worth anyhting?” Well, that was exactly what we thought when Frank and Mike went up to Wisconsin to visit an aging hippie looking to get rid of his stuff. Mike saw two cast iron poles and decided he needed to have them, buying them for $160. It turns out the poles were from the turn of the 20th century, and were combined worth nearly $400! A Michigan man’s uncle passed away, and the man inherited boxes of his uncle’s possessions. Not knowing what to do, he called Mike and Frank to try to sell off some of the items. One of the items was a cue ball return. The return would have been attached to a pool table, and when someone scratched the cue, the ball would have got to the beautifully made return. Mike bought the return for $125, but it’s worth at least $225. One day a woman called the guys saying that she had some original movie memorabilia which she wanted to get rid of. 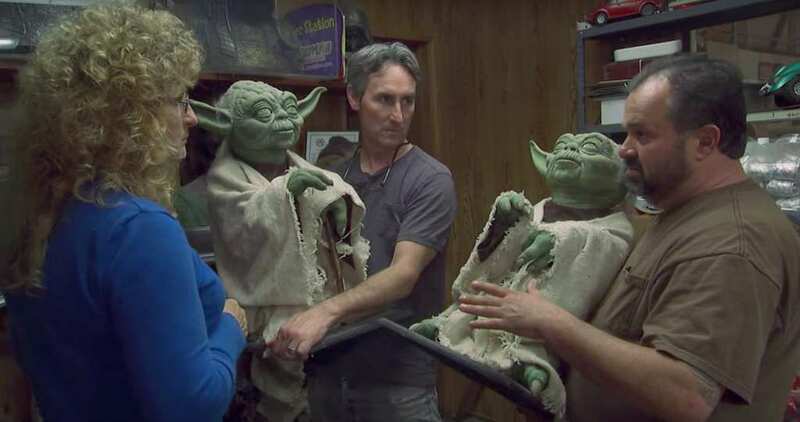 But this was not just any movie memorabilia, it was an original Star Wars Yoda Prototype. In order to get the exact story and know what they were looking at, the guys called up Mario Chiodo, one of the people tasked with making the prototypes, and they found one of his creations! Mike and Frank scooped up the Yoda for $6,250. This is a really cool kid’s bike. The bike that the guys found in Florida still has its original paint, can still be pedaled, and seems to be in nearly perfect condition. However, after over six decades worth of use, some parts have fallen off and gone missing, parts such as the back lid. However, the paint was original and in really good condition. Frank negotiated to get the bike down to $300. They then sold the bike for $550! The guys kept looking around in Florida and stumbled upon one of Mike’s favorite things – Vespa memorabilia. 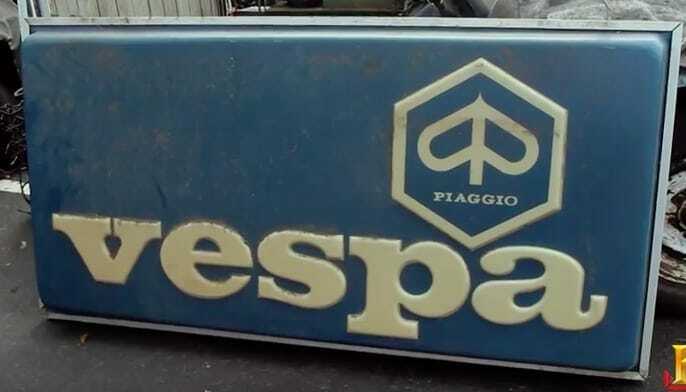 While he likes the bikes more, he was still happy to be able to see this piece, which was on original Vespa dealer’s sign from the early to mid-1980s. Mike managed to negotiate the owner down to $450, but was able to flip the sign (pun intended) for double that amount! Not too shabby. 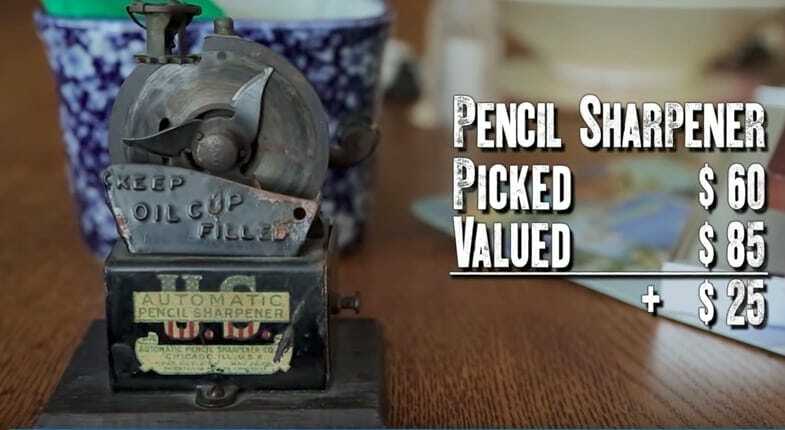 Who would have thought that an old fashioned pencil sharpener from the turn of the 20th century would be worth over $80? Well, this old timey pencil sharpener which was found by Frank in New York City certainly is! Back in the day, the only way to sharpen a pencil was by whittling it down to expose the graphite. This pencil sharpener had three blades and turned the pencil so it was whittled down easily and effectively. And Frank only spent $65 on it! 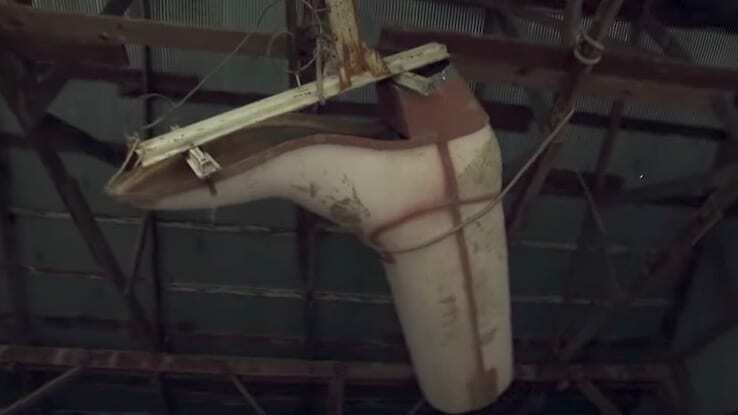 This ginormous, eight foot tall fiberglass boot was found hanging in a man’s shed. Weighing over 300 pounds, Mike knew that it would be a great item to have, and that props guys all over would definitely want it. This is our personal favorite find. Called a tether call toy, it almost makes us want to go live in the 1950s. The car, with a real engine inside of it, was tethered to a pole and would drive around in a circle. But this toy wasn’t just going five or 10 miles per hour, but 90, 150, and some even 200 miles per hour! Mike was able to buy one car and two extra bodies for $1,100. One of the more interesting category of items that the guys sell are circus banners. 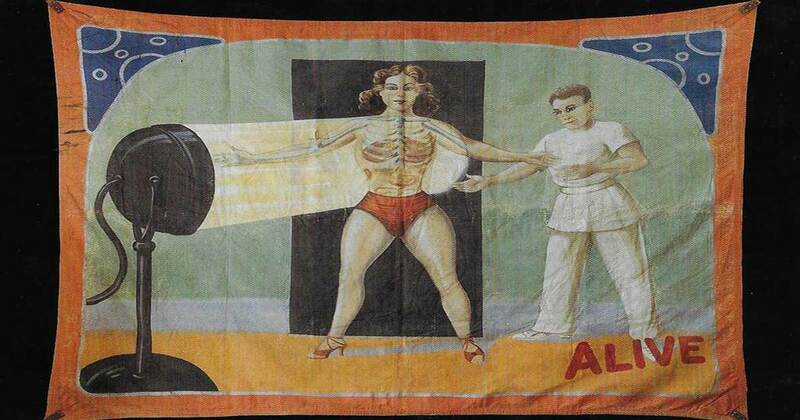 These old timey banners would give people an exaggerated version of what was inside one tent or another, including bodybuilders, bearded women, and fire eaters. 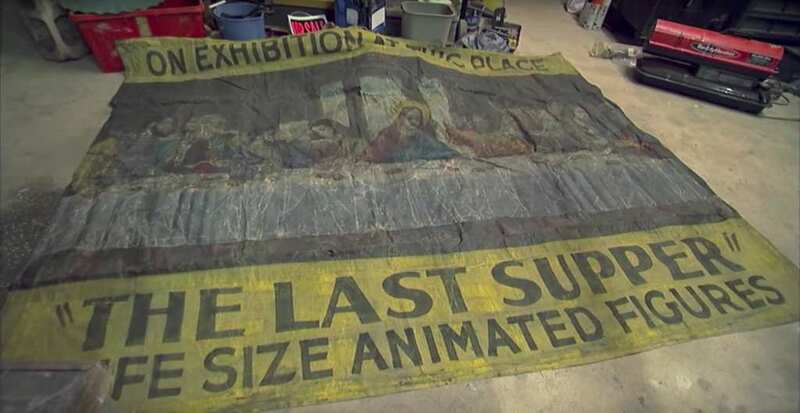 One of the more interesting banners was a last supper banner, advertising animatronic figures reenacting Leonardo da Vinci’s last supper. Mike ended up buying the giant canvas for $2,000. 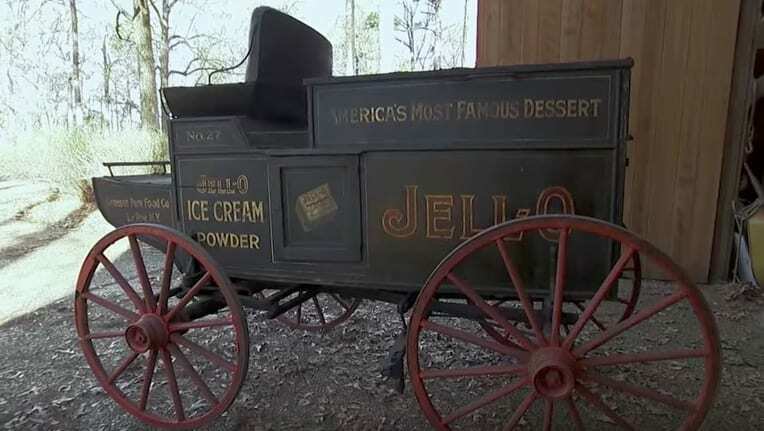 This Jello Wagon was from the turn of the 20th century and had been sitting in a barn in Louisiana when Mike and Frank found it. The wagon was in really good condition, and helped to show the way ads used to be publicized back in the day. The horse drawn carriage was originally from Rochester, NY, and it was used to advertise, well, Jello. The guys were able to get the wagon for $6,500, and sold it for $10,000. There is arguably no American hobby more beloved than to save unnecessary items in our basements, forget about them, and then, 30 years later, find them for no apparent reason. Perhaps that is why shows like Cash in the Attic, Auction Kings, Storage Wars and others — the hoard/upgrade/sell kind of reality TV, where a seemingly worthless piece of metal can, in a fairytale twist, become a treasure — have been an overpowering success on our TV screens. This is a super interesting piece of automotive history. 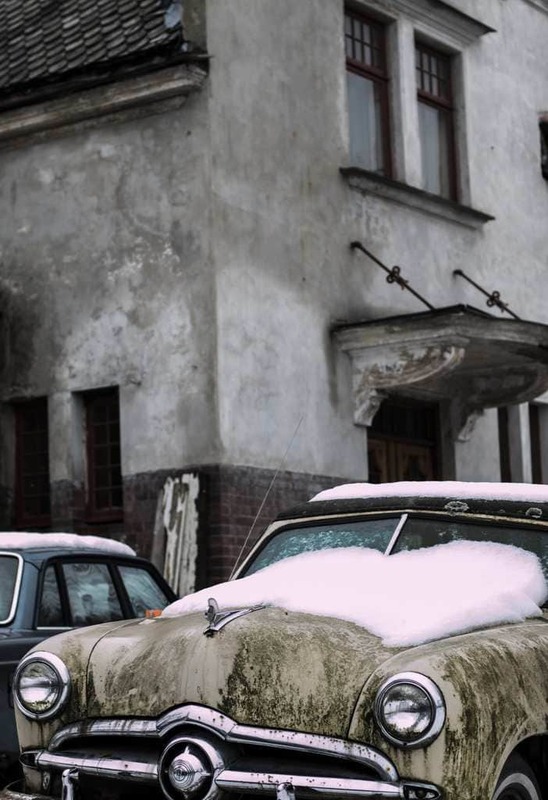 It turns out that when cars were first being sold, they did not come with the things we are used to. They didn’t come with horns or clocks or really much of anything. 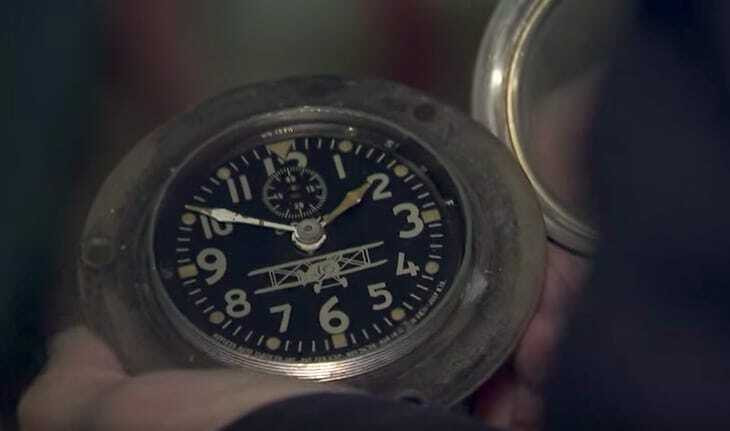 The guys went to Maine and they saw a really cool automotive clock with a picture of a bi-plane on it, dating the clock to the 1910s. Mike bought the clock for $115, and he made an $85 profit on it! Truly there is no greater joy than to watch a 50-year-old car dealership secretary discover that the vase she had in her attic all those years, the one she thinks her grandmother got from a lover but her sister thinks is a gift from her husband’s side of the family, is worth thousands of dollars. No greater wonder than to watch an independent builder from Wisconsin see his 25-year-old Volvo a luxury car after experts restored it to its original value and much more. 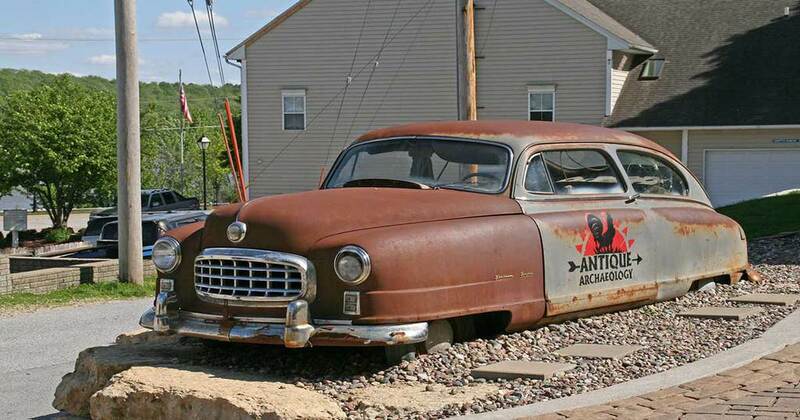 Enter American Pickers. 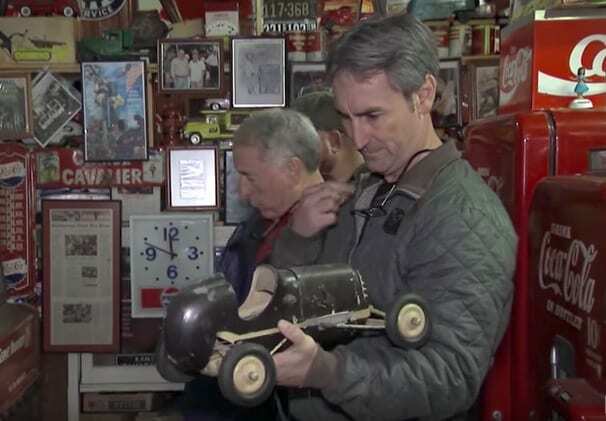 American antique and collectible experts Mike Wolfe and Frank Fritz, developed a show where they travel the nation, seeking out antique cars to collect or buy for resale — once renovated — for their personal collections, or for their clients. The two follow leads given to them by owners of antique cars — most of whom do not know they own one — or simply look on their own for antique vehicles to restore and sell. And they certainly hit the jackpot more than a few times. 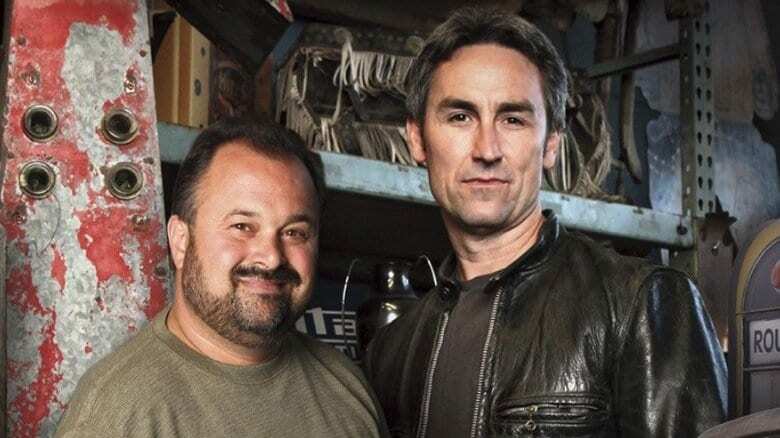 Firstly, American Pickers have numerous shows that followed in its vein — Picker Sisters, Picked off, and Canadian Pickers. 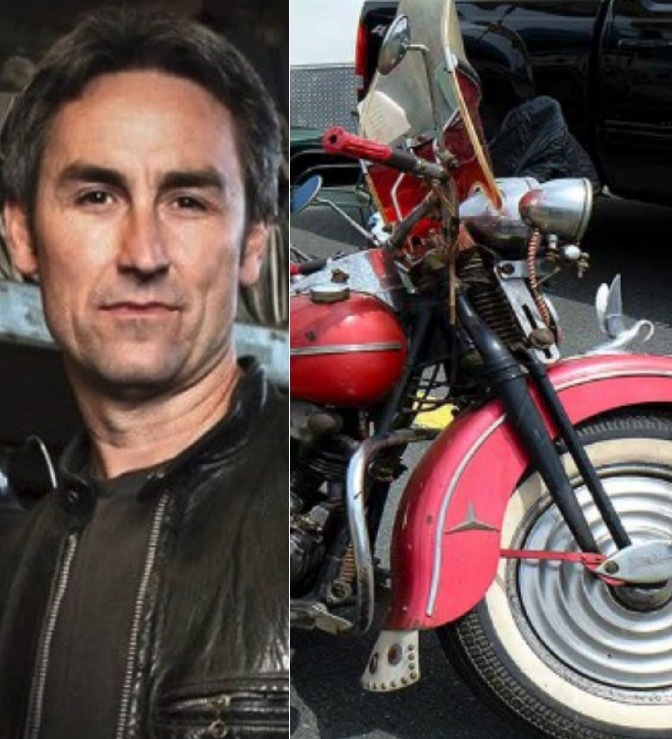 However, considering Wolfe and Fritz are the original show-masters, the ones who built the experiment traveling the US in the Mercedes, and the real absolute experts in turning rust into gold, they undoubtedly know best; so here is the list of the most expensive, grandest and most unusual picks on American Pickers. Jerry Bruce of South Carolina, an auctioneer and collector, wanted to open a museum showcasing farming and woodworking tools the way they were around the civil war. He saw a polarimeter — a device used to measure the sugar content in alcohol — on American Pickers, and contacted Frank Fritz. Bruch claimed that Fritz offered to sell him the device, and then did not; the matter reached court, where Fritz was found guilty of breach of contract and had to pay a $1,000 fine. In the first episode of season three, Fritz and and Wolfe drove off to Easton, Pennsylvania, searching for unseen gems in the midst of an abandoned amusement park. Local Neal Fennel, AKA “Balloons the Clown”, guided them through the area, when they came across a few banners advertising the park, and paid $700 to purchase them. The banners were later on estimated to be worth around $5,000 to $6,000 each; the pickers, in an act of good faith, gave $5,000 of the sale money to their guide. Not everything always went smoothly for the pickers. In the antique business, losing a large amount of money on an unsuccessful try is not at all unheard of. 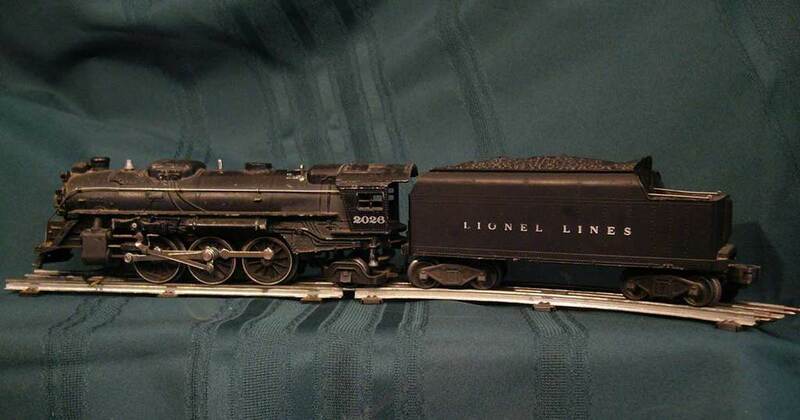 Early in season 7 of the show the pickers were reminded that, when they paid a whopping $8,000 for what they thought was an original, prime condition Lionel Train set. They soon discovered, however, that it had replaced parts, and was only valued at $3,400. 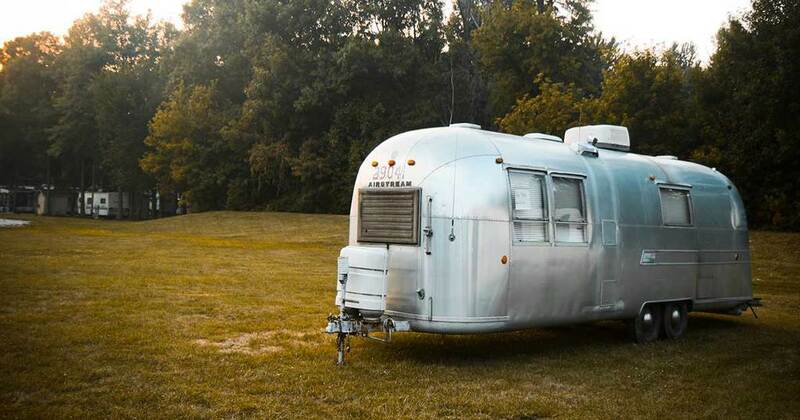 An 1948 Airstream travel trailer in a rundown condition cost the pickers nearly $3,000 to repair in one of the most expensive risks the show had seen. They went ahead with the repair, which paid off. 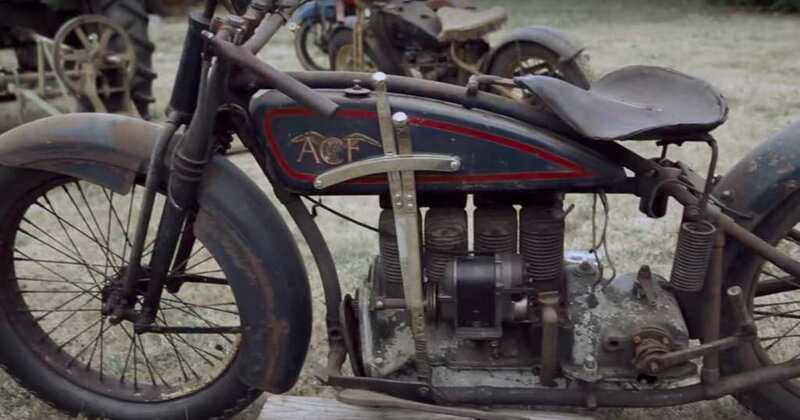 Fritz and Wolfe managed to trade it in for an antique Indian motorcycle in prime condition, earning them $5,000 with a $2,000 gain and proving that sometimes, and especially on pickers, risks are worth taking. 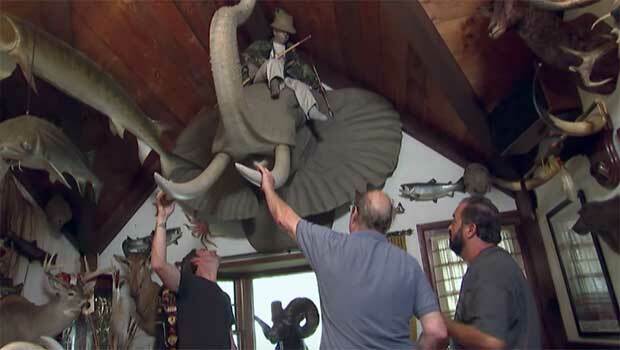 Quite later on in the show — the 57th episode, to be exact — Wolfe decided to invest in a taxidermied elephant head. His interest in it remained unclear, and the episode remained a bizarre one. Even more oddly, the sale was for singer and creator Jack White of the White Stripes. He paid $6,000, gave Wolfe $6,000 in antiques — including an old photo booth and jukebox — all to receive the coveted taxidermy. 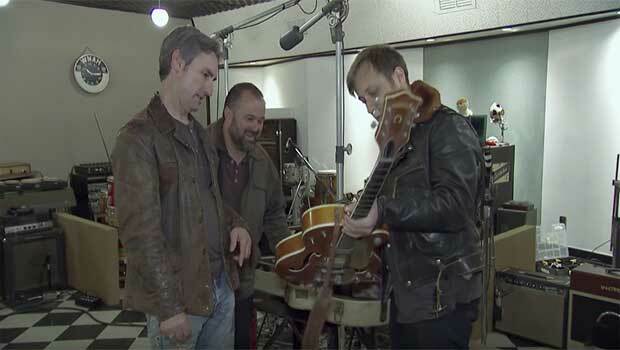 Jack White was not the only antique-collecting rockstar to grace the show; when Fritz and Wolfe came across a 1958 Gretsch Chet Atkins 6120 guitar and purchased it for $9,500 — along with two amps. They surely did not know guitarist and lead vocalist for the Black Keys, Dan Auerbach, would be keen enough to purchase it along with an amp for a whopping $10,000. The transaction was completed, much to the joy of both the pickers, and the rockstar. 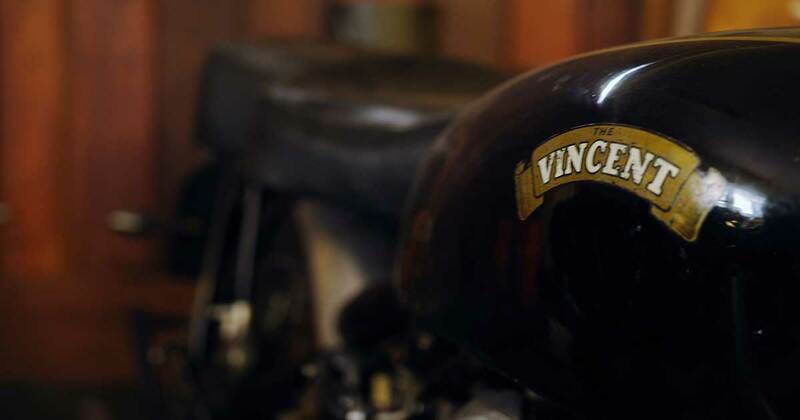 From the late 1920s to the mid 1950, Vincent Motorcycle was a prestigious manufacturer of top-of–the-line motorcycle. Their rarity, superb technology, and the short-lived time of their production makes them incredibly difficult to find. 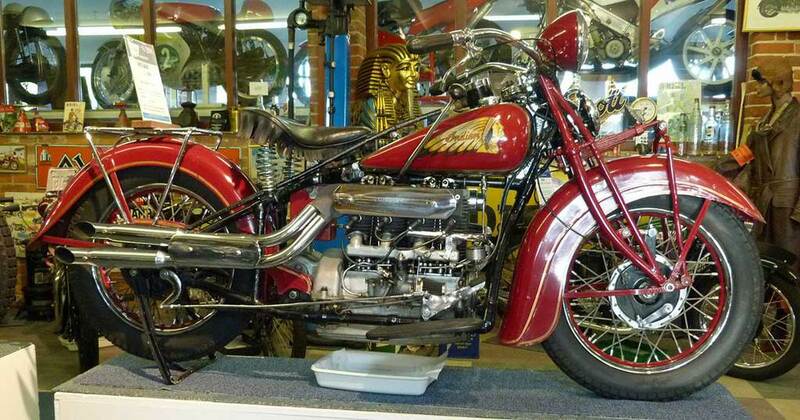 Fritz came across one and immediately paid a serious $10,000 for the motor, and sure enough, made a profit when he eventually sold it to the National Motorcycle Museum in Anamosa, Iowa, for the price of $12,000. Cyclears, a type of small and inexpensive car manufactured between 1910 and the late 20s and propelled by a single cylinder, are relatively difficult to come by, considering they went out of commission fairly quickly after the world war, when more economical cars were needed. 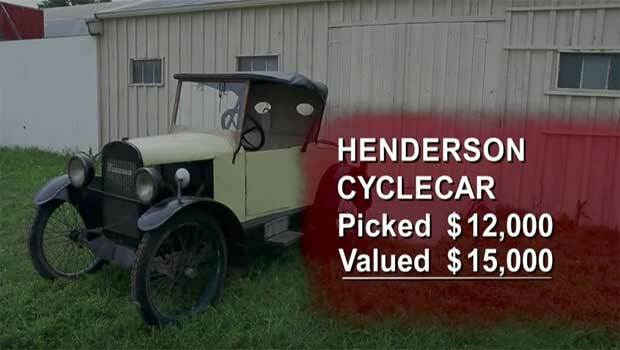 The pickers, however, came across a Henderson cyclear for sale, and paid $12,000 for the deal. They did later sell the vehicle, built in Indiana, for $14,500. 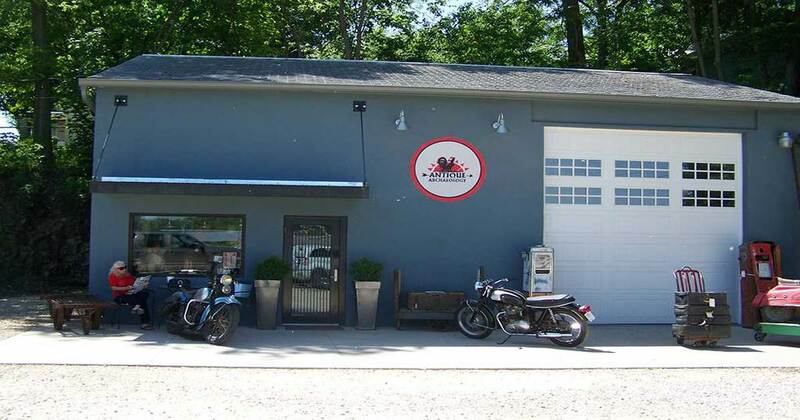 Even those of us who take no interest in either motorcycling or antiques recognize the prestige and value of powerful motorcycle company Harley-Davidson. 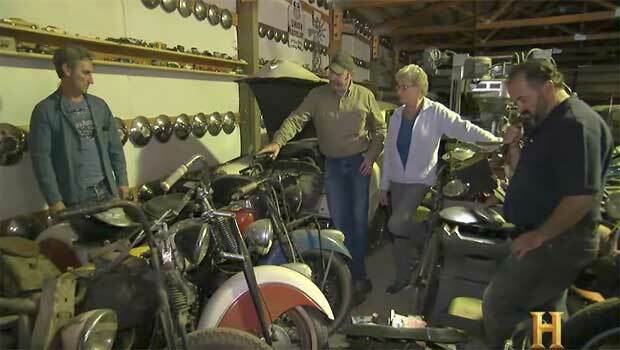 When Wolfe and Fritz heard about an original 1937 Harley-Davidson Knucklehead that was left in a barn, they traveled to the location and haggled with the owner in one of the most tense scenes aired on the show. Wolfe eventually bought the motorcycle for $20,000, and refused to sell it, even following a $25,000 offer. It’s not always well-put together pieces of machinery we get to see on the show; Fritz and Wolfe are experts at salvaging gems from anywhere. 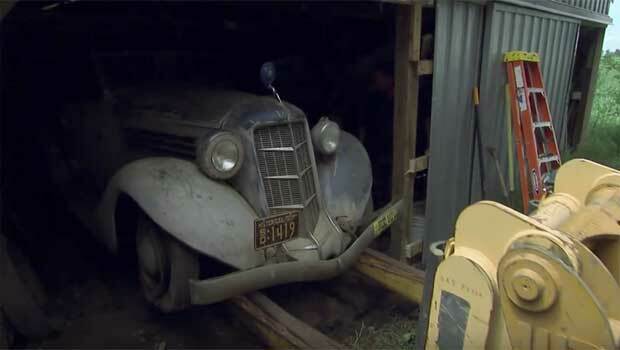 In one surprising episode of pickers, Wolfe quite literally torn down a barn to rescue its contents, namely a 1935 Auburn Phaeton 653 in poor shape. He paid $26,000 for the machine and another $10,000 for renovation, and in true picker form brought the car’s value to $45,000. The 1939 Indian four cylinder motorcycle the “Aristocrat” is a prestigious piece of enquiry — and you don’t let one go when you see it. 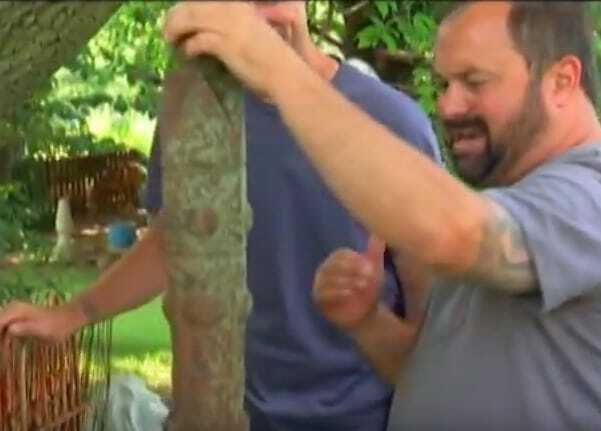 Antique Archaeology, one of Wolfe’s businesses and a main participant in all show buys, bought the well-kept device for $30,000. 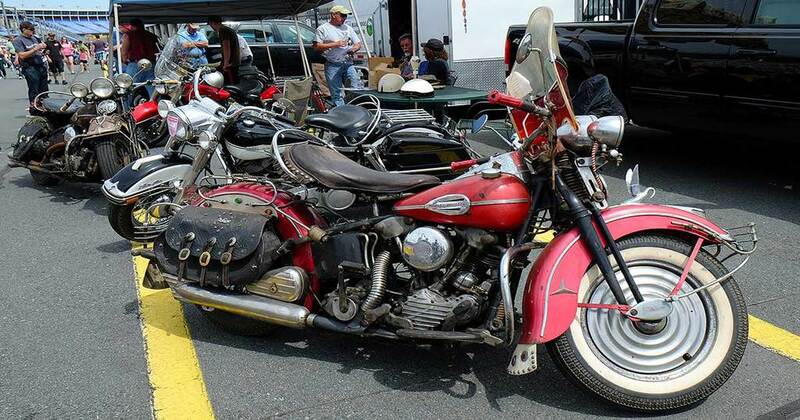 They picked up another bike, a 1930s Indian Chief, for another $10,000. They brought the two bikes to a worth believed to be well over $58,000. Much later on in the show, on season 17, in the episode, “The $90,000 Question”, Fritz and Wolfe headed Northwest to investigate a lead regarding a rare motorcycle collection. They were rewarded with an antique trader’s dream: an exquisitely kept and rare Ace four-cylinder motorcycle. The guys jumped into action and threw down perhaps the biggest gamble seen on the air, saying “yes” to the $90,000 question and purchasing the rarest item ever seen on the show.